This is not a review. 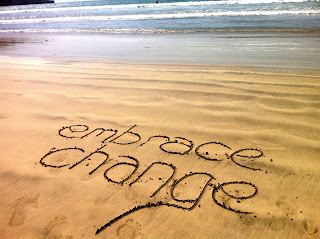 It is notice that I have decided to embrace change in my life. I wanted to start 2016 with a change I could stick to. I wanted to prioritize things in my life. I have to say that here we are at the end of the first month of the new year and I find myself frustrated with the way things have been going. So, after reading a post this morning by an author I admire and follow (see post here). I have finally made a decision about my own life. I started this blog nine years ago. Why? I followed a very small site at the time called The Picnic Basket (find the link here). I would read a post and if I liked the book I would request it. That is how I started getting books for my school shelves. I taught ESOL (English for Speakers of Other Languages) and itensive reading. My husband suggested I put up writing prompts and reviews in the hopes I would entice my reading kids and ESOL kids to read more. I have continued to review books. For a while I joined every reading challenge I could, and encouraged my students to join as well. Some time later I noticed I was no longer reading the books I purchased along with my students from Scholastic or my local book store because I was reading and reviewing the books I got from publishers and authors. I still wasn't worried. I cut down on the number of reading challenges I did. Then one day it happened. After giving a writing assignment, again, to my reading students. After modeling the process by writing a story along with them, one of them said something that changed my life. Jesse said, "Miss, we like your stories. Why don't you write books to put on your shelves. We'd read them." So I started down the writing road. The reason for change is multi-faceted. I am a teacher with 147 students. This year I became the English Department chairperson. My English department personnel is almost all new. I mentor two new teachers as well. I have several students who participte in NaNoWriMo each year so that takes a chunk out of my after school time. Once again I found my writing suffering, as was my blog. I would read multiple books but not get around to the reviews. These are the reasons for the change. 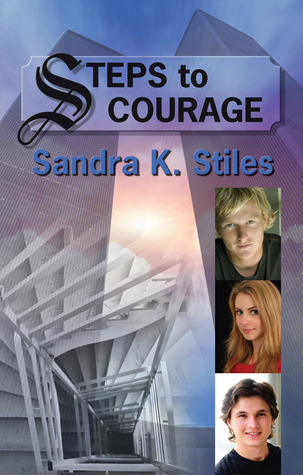 Steps to Courage was self published in 2011. I wanted it out there for the tenth anniversary of 9/11. That decision changed several things for me. I liked to stay in the background of things. This challenged me to step out of my comfort zone in the form of book signings. I have four other books in the works. One is in revision, one I've just completed the research, and two others are partially written. I decided for the new year I was going to focus more on my own writing. I've been turning down reviewing books that don't grab my attention 100%. This was hard to do. I usually am wise about selecting books I would enjoy reading. However, if it is a book I could wait 3 months to read I want to pass and let someone else have the opportunity to read and review it. I decided this was the year I would finally take the next step in writing. I am a founding member of Jerry Jenkins' Writing Guild. He has multiple classes, webinars, one page critiques and more to offer me. There is help 24/7 from him and others. In other words, I am taking my writing more serious. Beginning February first, I can guarantee a post only twice a week. I haven't set specific days. This will allow me several days to read and several days to write up the reviews and post them. If I can fit more in I will. It could be I'll have a lull and be able to schedule posts. I already have some that are set up for one day each week, up through June. It is important that I do this in advance because sometime in May I will leave may job a few weeks early to have double knee surgery. The knee issues were another item thrown into the mess. All of this is why I will commit to only two guaranteed posts a week. Yippee if I can pull off more. I am no longer going to stress if I can't. I must focus more on my own dream of writing or I'll never get anywhere with it.Writing is hard and I'm constantly learning. If two posts a week is not enough for you then know that I understand. You must do what is right for you, as must I by embracing change. Well done, Sandra. I think the key is to embrace change, and be flexible to change as you go. It sounds like a good plan to help restore the balance and to rekindle your own writing. Best of luck.